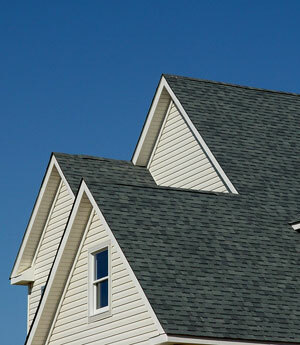 S&L Roofing is South Orange County's preferred home roof maintenance and repair company. 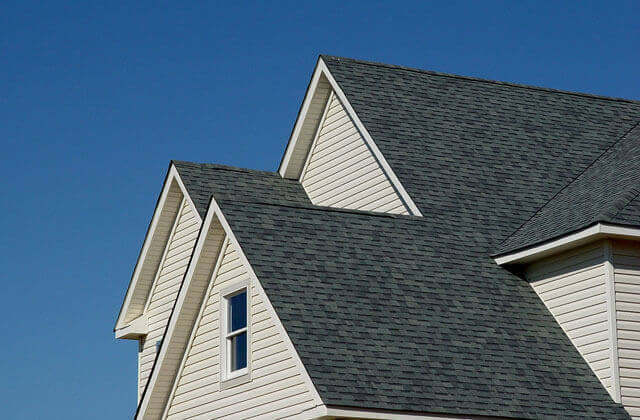 With over 25 years of experience in the residential roofing industry, S&L Roofing has the expertise required to resolve all types of issues which may arise with southern california wood, tile, composition, metal, and flat roof roofing systems. During our years in business, we have provided our affordable roof maintenance and repair services for countless numbers of homeowners throughout our South Orange County service area, who have relied upon us repeatedly to keep their roofs functioning optimally. At S&L Roofing, we believe that preventative inspection and maintenance services are the best method of avoiding the need for major roof repairs and complete roof replacement. 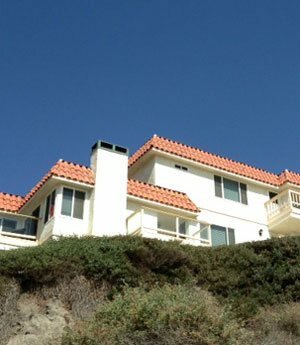 Our mission as a roof repair company is to enable our southern california clients' roofs to last as long as possible. And towards this end, we offer affordable, comprehensive home roof inspections, during which we carefully assess the roof's condition, to determine if any maintenance or repair services are needed. Then we offer a free estimate on these services, and include the fee for our affordable inspection service in the price of our free maintenance and repair estimate. Contact the roof maintenance and repair specialists at S&L Roofing today, for precision roof repairs at unbeatable prices. We service southern california and all of South Orange County, and provide free onsite repair estimates throughout our service area. There are several reasons that residential roofs require roof repairs, but one of the major ones is due to problems with roof flashing. The installation of insufficient flashing at points of roof transition is a major problem in southern california roofs, as well as roofs throughout Southern California. Many roofers try to cut corners at roof to wall transitions, roof to parapet transitions, intersecting roof pitches, and Dutch gable transitions, sometimes with disastrous consequences for the longevity of the roofing system. This is due to the fact that these poorly flashed areas become areas where leaks can form over time, causing damage to the interior of these homes, the development of mold and dry rot within the roofing system, and the need for roof repairs to correct these areas of roof weakness which should have been installed properly in the first place. Rely upon the roof repair experts at S&L Roofing to remedy any leakage issues you may be experiencing at your southern california home, and to do so in the most effective, cost efficient way possible. 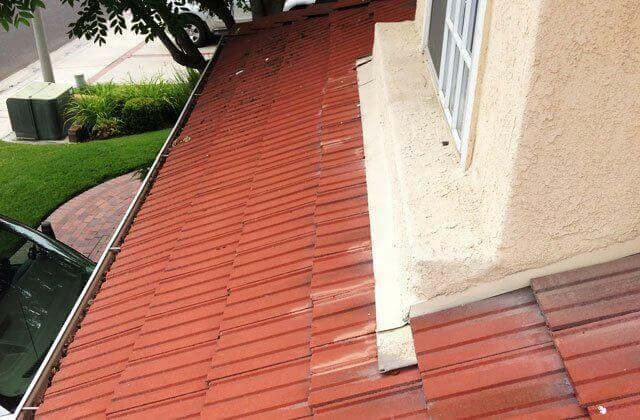 Many roof leaks in southern california homes can be traced back to the ridge cap. Because this area of the roof receives the brunt of year round windy and stormy weather, the roof cap is subject to developing loose wood and composition shingles and shakes, and cracked tiles and cement shakes. And when this occurs, it allows for a localized area where water can penetrate under the shingle, shake, or tile layer of the roofing system, run down the sides of the roof, and enter the roof at points of roof penetration, causing water damage to the interior of the home. Contact S&L Roofing to make sure that your roof's ridge cap is in good condition, and prevent the problems which can develop if it is in need of repair. Our comprehensive Roof Tune-Ups are designed to keep southern california roofing systems in good condition, as well as ensure their longevity and optimal functionality. 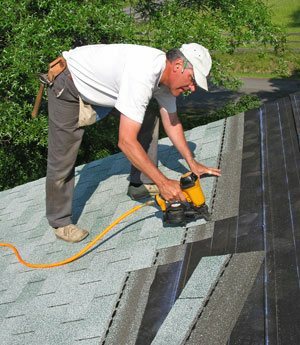 During our affordable Roof Tune-Ups, we perform a thorough inspection of the roof, and evaluate the state of such vital roof components as the condition of the roof's shingles, shakes, or tiles; look for damage on gravel and cap sheet flat roofs; and damage to metal shingles or panels on metal roofing systems. We check the condition of the roof's underlayment and the flashing at roof transitions and around roof penetrations. We check for ridge cap integrity issues, and we also look for debris buildup on the roof and in the roof's drainage areas and rain gutters. Then, we perform our affordable maintenance and repair services as necessary. clay and cement tile roofs. wood and composition shingle roofs. metal tile, standing seam, and stone coated metal steel roofs. gravel and cap sheet flat roofs. And we provide our expert maintenance and repair services to southern california at very competitive prices. For these reasons and more, countless numbers of South Orange County homeowners rely upon us to keep their roofing systems functioning optimally, and to ensure that they avoid the need for costly roof replacement for as long as possible. Call S&L Roofing today. Check for damaged shingles, shakes, tiles, metal panels; bubbling on flat roof systems. Determine the source of any roof leakage. Look for dry rot and termite damage in fascia boards and exposed roof sheathing. Check for tile slippage and mortar damage on tile roofs. Evaluate the roof for flashing damage or insufficiency. Look for excessive debris buildup in areas of roof drainage. 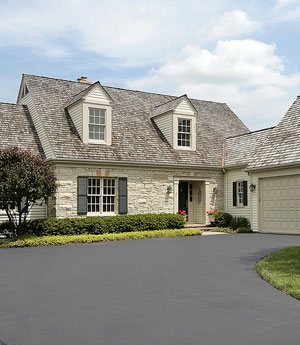 Then, we recommend our affordable roof maintenance, cleaning, and repair services as necessary, always keeping the long-term health of your southern california's roof foremost in mind. 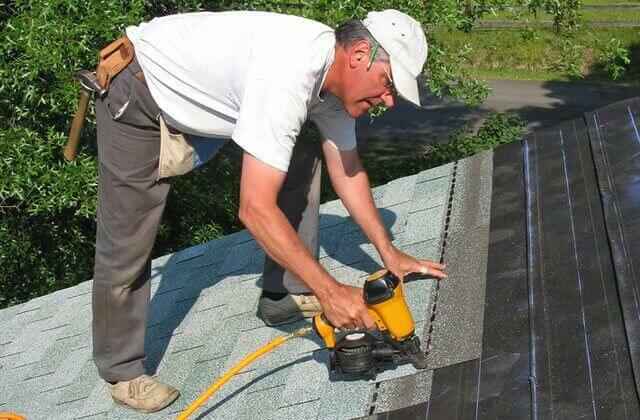 Contact Southern California's Roofing Maintenance & Repair Specialists Today. 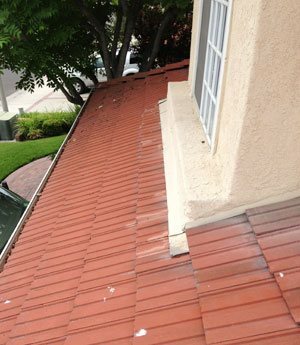 Don't neglect your southern california home's roof until major problems develop. Contact S&L roofing today. Rely upon our expert roof maintenance and repair services to keep your roof functioning optimally from season to season, and year to year. Call us today. We service all of South Orange County, and provide free onsite repair estimates throughout our service area.